Born on January 17, 1963, in Baltimore, MD; son of McDonald (a retired post office employee and church organist) and Flossie (a city social services worker and church choir director) Soulful jazz pianist Cyrus Chestnut might just be proof positive of the impact that music has on babies in the womb. Either that, or a life in music was simply in his blood. Chestnut’s father, a postal employee and the son of a church minister, was the official organist for the local church in Baltimore, Maryland, where Chestnut grew up. Young Cyrus’s home was filled with the sounds of the gospel music that his church-going parents played in their home, along with jazz records by artists such as Thelonius Monk and Jimmy Smith. Chestnut has said that the roots of his love of music began there, and to this day, Chestnut’s ties to the gospel church remain constant. “Growing up, gospel music was what I heard in the house,” Chestnut told Down Beat magazine. As a boy Chestnut reached for the piano keys before he could walk, so his father began teaching the earnest three-year-old to play the piano. One of the first songs young Cyrus learned was “Jesus Loves Me.” Before long, seven-year-old Cyrus was playing piano in the family church, and by age nine he was promoted to church pianist at Mt. Calvary Star Baptist Church in Baltimore, Maryland. Chestnut, who became known for his improvisational skills and unique jazz-gospel and bop style, has credited his abilities to those formative years when he played at church. And while Chestnut’s roots in gospel stemmed from his life at home and in the church, his passion for jazz was born not long thereafter. With his two-dollar allowance, young Chestnut purchased his first album, Thelonious Monk’s Greatest Hits, simply because he liked the album cover, and thus the young pianist’s love of jazz began. 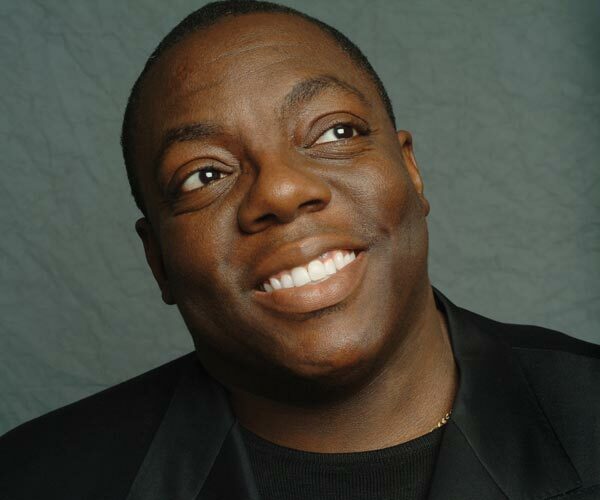 After graduating from Berklee, Chestnut went on to work with jazz vocalist Jon Hendricks from 1986-88, and trumpeter Terrence Blanchard and saxophonist Donald Harrison from 1988-90, before joining jazz legend Wynton Marsalis in 1991. But Chestnut really cut his teeth in the business when, one day at Berklee, jazz vocalist Betty Carter arrived to perform. When the famous singer found herself without a piano player, the entire auditorium erupted with suggestions for Chestnut to fill in, and he was ushered to the stage. Terrified and nervous, Chestnut took the stage, but when Carter asked him to play Body and Soul in the key of G, Chestnut mistakenly played it in C. “I told myself that someday I would make it up to her,” Chestnut told Berklee Today. After a short stint playing aboard a Caribbean cruise ship in 1985 with a band that included Dizzy Gillespie, Joe Williams, and Tommy Flanagan, Chestnut graduated from Berklee. In 1991 Cyrus got his chance to repay Carter when he went on the road for two years as the pianist for the Betty Carter Trio. “She wanted you to create a mode of creating, not re-creating,” Chestnut told the Santa Fe New Mexican. He has often said that playing with Carter was a form of graduate school. For Chestnut, there has always been a deep connection between jazz and God. He believes jazz to be a religious musical genre. “I believe the ability to play music is a gift from God and every time I play, I’m thankful. Every time I sit down to play, for me, is worship and expression,” he told Down Beat magazine. Fitting this connection, the title of Chestnut’s major label debut album was Revelations, which he released in 1994 at the age of 30. The album was voted Best Jazz Album by the Village Voice and soared on the charts, outselling expectations for piano trio recordings. Prior to that, Chestnut had broken out of his role as an accompanist and band member by forming and leading his own trio. Chestnut’s trio recorded two albums on the Japanese label Alfa Jazz, The Nutman Speaks and The Nutman Speaks Again, in 1992. He also recorded Nut in 1992 and Another Direction in 1993, both on Evidence. In 1994 Chestnut released Dark Before the Dawn for Atlantic Records. “It’s a musical story about me. It’s about my life experiences, how I felt at the time, my reactions. Life is not one-sided. A lot of different things happen in life,” Chestnut told the Philadelphia Inquirer. The album debuted in the sixth spot on the Billboard Jazz Charts. The very next year, Chestnut released the critically acclaimed Earth Stories, for which he composed nine of the CD’s eleven tracks. Chestnut has earned a reputation for his skillful versatility, his ability for blending sounds and for unabashedly bringing gospel into the club performances he gives. And despite his sense of playful showmanship, he takes jazz very seriously and believes that jazz has great staying power. “Just as Bruce Springsteen has that ability to appeal to a mass audience, I have a vision that jazz can do the same. You can’t underestimate the power of this music,” Chestnut told the St. Petersburg Times. Throughout his career, Chestnut has worked with an array of artists, including saxophonists James Carter, Donald Harrison and Joe Lovano; trumpeters Roy Hargrove and Freddie Hubbard; jazzman Chick Corea, the Chicago Symphony Orchestra, the Boston Pops, and opera singer Kathleen Battle, with whom he tours occasionally since 1995. More recently Chestnut has collaborated with vocalists Vanessa Williams, Anita Baker, Bette Midler, Isaac Hayes, and Brian McKnight. In 2000 he collaborated with Williams, McKnight and the Boys Choir of Harlem on an updated version of Vince Guaraldi’s A Charlie Brown Christmas. Chestnut’s 2001 release, Soul Food, provided a showcase for his versatility. The album is a blend of jazz, classical, gospel, and R&B. In 2003 Chestnut released You Are My Sunshine on Warner Brothers Records. Prior to that, Chestnut released a solo piano album, Blessed Quietness: Collection of Hymns, Spirituals, and Carols in 1996, and followed with Cyrus Chestnut in 1998. The New York Daily News once heralded Chestnut as the rightful heir to Bud Powell, Art Tatum and Erroll Garner. In an interview on National Public Radio (NPR) for All Things Considered, Chestnut remarked, “If I can send one person home after a performance feeling better than when they arrived, then I’ve done my job, and I sleep good at night.” To this day, Chestnut attends church every Sunday, and whenever he can he plays in the local church in Brooklyn, New York, where he lives with his family. He told CBS News, “If I’m not working, you’ll find me in somebody’s church.” Chestnut continually tours with his trio, playing live at jazz festivals around the world as well as clubs and concert halls. His leadership and prowess as a soloist has also led him to be a first call for the piano chair in many big bands including the Lincoln Center Jazz Orchestra, and the Dizzy Gillespie All-Star Big Band.